The 2013 Ford F-150 SVT Raptor is popular with adults who like to play in the dirt and even more popular with kids around the world. The popular 2013 Ford SVT Raptor is a truck that was meant for play and adults get to take it out in the dirt and have fun. But kids around the globe are snatching up the SVT Raptor in record numbers as they like to play with toy models. The real model is selling well for Ford with an increase of 20 percent in 2012, and sales of licensed products of Raptor are also leading their categories in toy and gaming segments. It is selling so well, that it has now replaced GM’s Hummer brand as the most sought-after licensed toy truck. And it’s not just here in the U.S., it’s a global phenomenon. Companies in Canada, Germany, Japan, China and Brazil have licensed the product and kids all over the world are playing in the dirt with the Raptor. Raptor replicas are extremely popular when it comes to children’s choices in toys, but it’s also a big hit in video games. 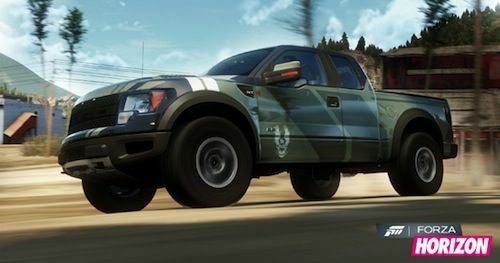 Microsoft Forza 4’s top-selling racing simulator game counts Raptor as one of its most downloaded vehicles. Around the world, the most popular toy and video game brands are enjoying tremendous success from their Raptor-inspired creations. The Ford F-150 SVT Raptor is easy to find as it’s distributed in just about every toy store like Toys R Us, Walmart, Target, Hobby Lobby, Michaels and even smaller independent retailers such as drug store chains and dollar stores. It’s even found in 3D puzzles and sketchbooks: the Raptor is everywhere! The 2013 Ford F-150 SVT Raptor is the number one selling toy truck in the world and is getting played with in every type of dirt around the globe.